Huawei's G8 handset offers advanced camera technology that makes taking beautiful pictures easier than ever. Capture amazingly sharp images in even the most challenging conditions with the in built 13MP BSI camera with optical image stabilization and large aperture 28mm wide-angle lens. Always be camera ready thanks to Real-time beauty make-up lets you choose a beauty template for your portrait, whilst Smart composition focuses on everyone in the photo and gives you suggestions on how to improve your composition. 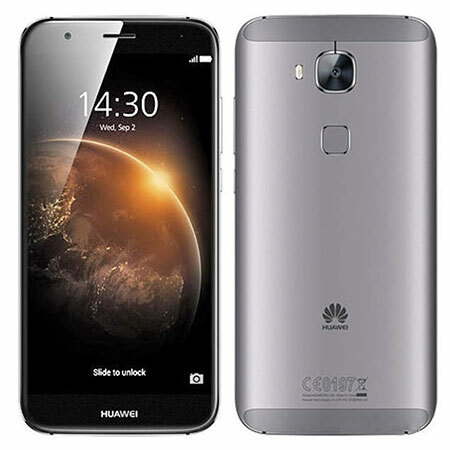 A 90% metal body ensures that the Huawei G8 is constructed with aviation-level aluminium manufactured using ceramic sand blasting technology. The inbuilt six speaker sound holes provide a louder, clearer, and richer audio experience, whilst the sapphire camera lens of the G8 offers a higher strength and transparency than traditional glass. 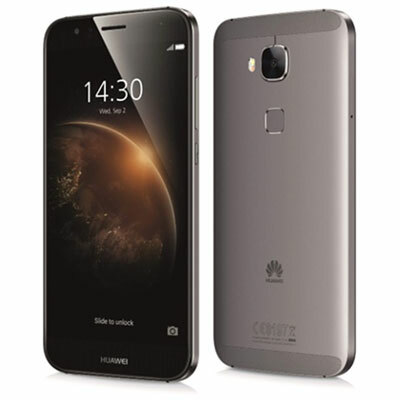 The Huawei G8 houses two antennas meaning twice as much connectivity. Thanks to dual antenna smart switching you won’t have to worry about losing your signal again. Enjoy Bluetooth 4.0, WiFi and 4G connectivity, with Android OS and a Qualcomm® MSM8939™, 1.5GHz + 1.2GHz 8-core processor. Keep your data secure with the next generation of fingerprint ID technology making ultra-rapid and fully secure identification a reality. Enjoy crystal clear viewing on the 5.5 inches TFT display, offering a resolution of 1920×1080 (FHD). The 2.5D Cambered Surface is slightly curved to protect it against cracks and scratches, making typing easier and providing a look that’s unlike any smartphone you’ve ever seen before.